This ball is a true heavy oil gem! Easily one of the strongest oil balls out there. Stores a lot of energy to unleash when it hits the pins . A good cross between a skid/flip reaction and arcing shot. Very predictable even in transition. This ball is a true eye catcher. WOW!!!!! Sir Hook A Lot... Hooks a ton and does not die. Continues to kick out the corners even when u move in deep. This ball will hook on ice. From the first time I threw this rock I knew it was special. Right off the bat 9 strikes in a row. After my first set I had to take the ball to get weighed again because it hooked so much I just knew the ball wasn't legal LOL. Honestly if you don't have this ball in your bag you are missing out big time. I will most likely give this an excellent review after some more use. I used it in league and struggled. However quickly realized it was me and my mechanics. Took to practice with my good friend and he pointed out what i was doing wrong. Once i fixed that shot 201, 247, and 220. This ball destroys pins when it hits. This ball is great on heavy oil. It stores its energy thru the head and mid land and unleashes it when it hits the pins. This ball is must in your tournament bag. This ball is amazing. Hits like a Mack truck. Pins stand no chance. I love it along with everything else I have gotten. If you want ball reaction, get this ball. Heavy oil does not bother it. Miss your mark outside, no worries the ball will come screaming back. Drilled ball 65 x 4 1/4 x 35, this ball loves oil and even with a 2000/compound finish, it still allows me to move left and open up the lane. 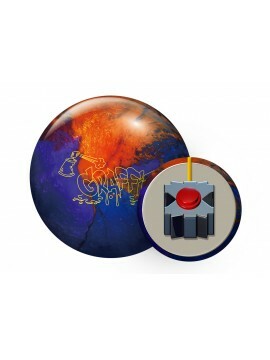 This ball gives me a nice strong motion down lane and just destroys pins. Find a place in your arsenal for this one! I've been bowling nearly 48 years, and have rolled hundreds upon hundreds of bowling balls. But I've NEVER rolled a ball with this much motion, this much hooking power, yet, so very very controllable. Wow, I was blown away by this ball. Truly, a gem of a ball. 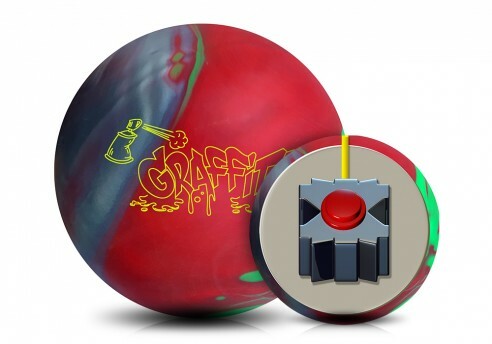 The Graffiti from Swag is an incredible asymetrical bowling ball. I've not had much success in the past with asymetrical balls but this one changed my mind. We layed out 50x3x25 so I could still play close to my comfort zone with this heavy oil beast. The results were fantastic with 259-269-237-228 out of the box last week. The Swag Graffiti has incredible hitting power and restores amazing energy down lane with very little deflection through the pins. A very versatile heavy oil monster and a wonderful addition to my bag! This ball instantly became one of my favorites, straight off the press! The house I typically bowl at seems to have more oil volume than a THS and this ball really makes the turn! It's such an awesome looking ball too! This Graffiti from the Swag line beast. I drilled it 50 x 3 1/2 x 25 with no weight hole. This ball skid just enough to get into a roll and push pins back. This hooks on ice to be sanded pearl. The way it hits the pins was remarkable. After the energy it stores........ My lawd with no weight hole. Lets just say i'm buying another 1. Incredible ball is with the entire SWAG line. This one though is extremely powerful! Absolutely amazing in heavy oil and longer sport patterns. This is definitely the first ball out of my bag on league night! Super clean ball, easy to be able to keep up through transition. It has such strong continuation through the pins and hits hard! This is the ball you want on a fresh house shot or a longer sport pattern. Reads the lanes well and tracks into the pocket and unleashes the pain!! A must have in your bag! Heavy Oil Juggernaut, I bowl collegiate and during practice they threw out badger and this ball preformed amazing when my mainstream equipment failed. The reaction of this ball is phenomenal, it has the ability to fight through copious amounts oil and a smooth backend motion (at least for me). 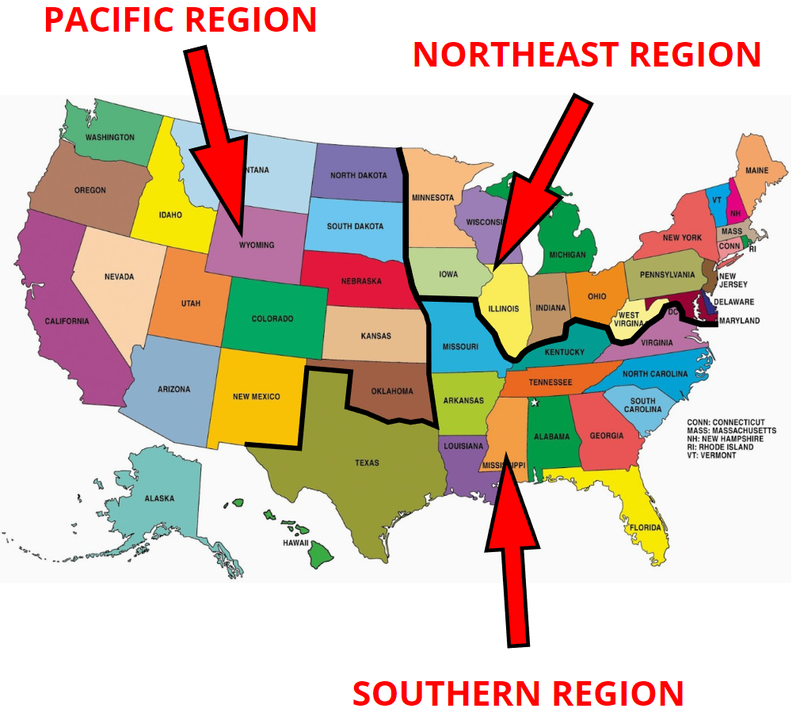 It is mind blowing. A MUST BUY!!! !